If your business accepts credit card payments, chances are you’ve heard rumblings about the coming EMV revolution–most notably, that merchants have until October 2015 to convert their payment systems and accept EMV-enabled cards. But what does this mean for your business? Here’s a quick breakdown of the basics. EMV, which stands for Europay, MasterCard and Visa, is the emerging global standard for credit card security. American Express is also adapting their cards to integrate EMV technology. Instead of using a magnetic stripe, EMV cards use a computer chip to store and process customer data. Instead of swiping the stripe on a card, business owners will dip the chip. Magnetic stripes store unchanging data. Once a hacker gains access to that sensitive information, they can reuse it again and again for new transactions. On the other hand, EMV cards create a unique transaction code for each payment. So even if a hacker does manage to steal chip information at one point of sale, they would not be able to reuse the data for for new transactions – effectively stopping fraud in its tracks. Will EMV cards require a signature or a PIN? The United States is in the early stages of EMV transition. At this point, the vast majority of issuers are starting with chip-and-signature cards. 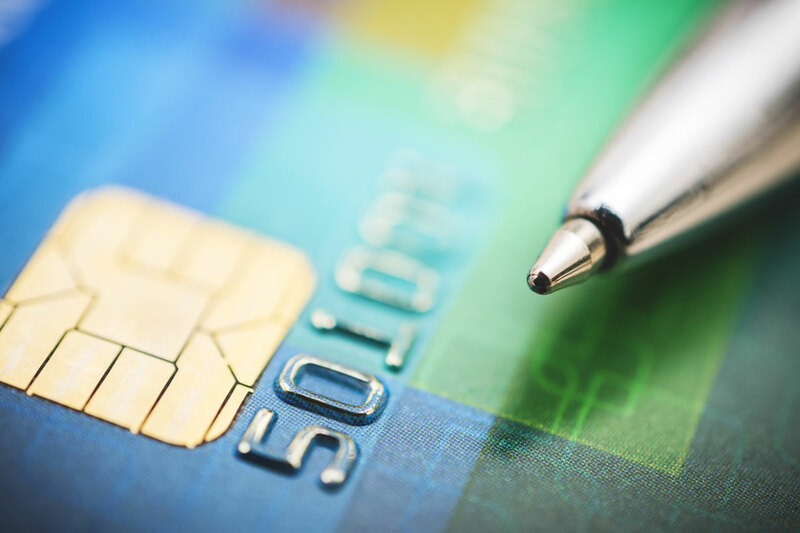 As the transition progresses, issuers will introduce chip-and-PIN cards as well. While the complete conversion may take two to three years, a business owner’s best bet is to prepare to accept both, as Beacon’s current credit card processing terminals do. Who set the October 1 deadline, and why? Major U.S. credit card issuers (MasterCard, Visa, Discover and American Express) are transitioning their customers to EMV cards because of the enhanced security and fraud protection. These issuers have set the deadline to ensure that customers will be able to use their new cards. If I don’t convert my payment systems by October 1, can I still accept EMV card payments? Yes, but you will be opening yourself up to increased liability. During the transition period, most EMV cards will be issued with both a chip and a magnetic stripe. So if your payment system is not EMV-ready, you may still accept the payment by swiping the card. However, if a transaction is conducted using a counterfeit, stolen or otherwise compromised card, you may be liable for the resulting losses. Today, liability from any consumer losses due to fraud fall back on the payment processor or issuing bank, depending on the card’s terms and conditions. After October 1, the liability for fraud-related losses will shift to whichever party is the least EMV-compliant in a fraudulent transaction. For example: if a customer uses a stolen EMV card at a business that has not changed its system to accept chip technology, the cost of the fraud will fall back to the business owner. When will the EMV transition be complete? Experts predict that total conversion may take up to two to three years. However, the majority of card issuers and consumers will be using EMV by the end of 2015. For more on the strategy behind EMV technology and the consequences of the transition, check out A Closer Look at EMV. Contact us today to discuss the best way for your business to make the switch.